After the disappointment that was G.I. 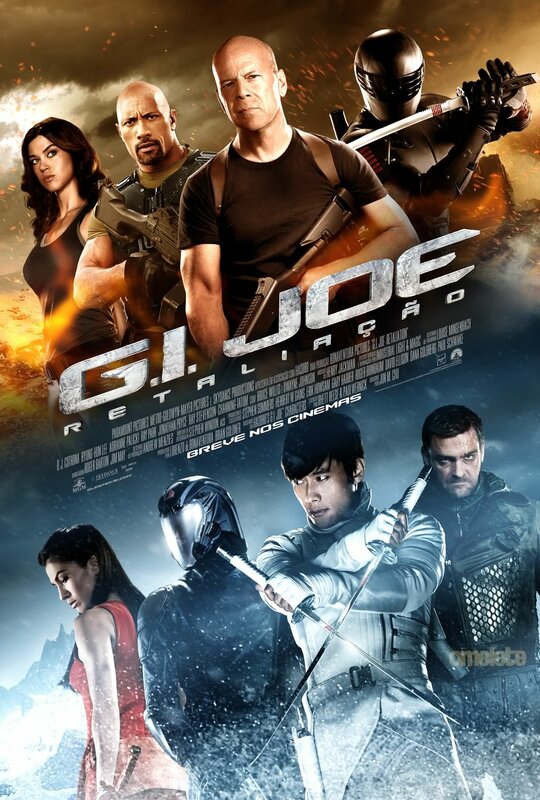 Joe: The Rise of Cobra, I wasn't quite sure if I actually wanted to see this movie. Before Rise of Cobra, I was psyched due to my childhood love of G.I. Joe and I didn't want to get betrayed again. After they pulled this movie from it's original June 2012 release date to make it 3D, I really had my doubts. I felt that if it couldn't stand alone with its story and FX without the addition of 3D, it would be another letdown. After the awesomeness that was the Avengers movie, I understand why the execs for this movie decided to push it to a 2013 release. After all my initial misgivings about this movie, I decided to go and watch it anyways. Though much of the original cast didn't return for this sequel, and Channing Tatum as Duke didn't last very long, I think that may have been for the better. There was not much mention to what actually happened to people like Scarlett, Ripcord, General Hawk, Heavy Duty, Baroness and Mainframe. I was hesitant about seeing Dwayne "The Rock" Johnson in this movie since his movies have been fairly hit-or-miss, IMHO. I think Johnson's performance was good and held the film together. I know that he has recently returned to wrestling in an effort to better promote his movies. Ray Stevenson's portrayal of the Cobra saboteur Firefly was excellent, although I think that the motorcycle that split into separate rocket pieces was a little out there. Since I just finished reading the stories in the TPB's involving Firefly as a ninja, I was glad to see that the writers didn't take it that far for the character. Whoever designed the costume for Snake Eyes in the original (Rise) movie should be very ashamed of themselves. Whoever designed the costume for the current incarnation of Snake Eyes should be commended. This was true to the Snake Eyes I remember as a child and what I've seen in the TPB's. This costume made my inner child very giddy. Another aspect of the original comics was to promote the toys. I'm glad that this movie didn't have to sink so low as there is only a single reference to a named vehicle: the HISS tank. The new HISS tanks are a better concept that the original ones from the comics or the cartoons. I didn't feel that I had to suspend my understanding of reality to belief what I was seeing. 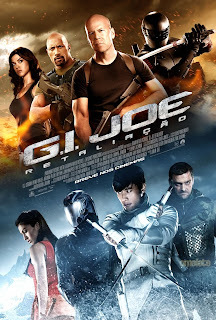 Of course, the ending was very open for a sequel, so I expect a final installment of the G.I. Joe series will come to us in 3-5 years. On the back of this poster, they are already promoting the release of the Blu-Ray/DVD/Digital combo that can be preordered at Walmart. I just had to laugh when I saw that.